What form does news bias take? What influences news bias? Articles, Activities and Resources. CNN produces a highly interactive 10-minute news program, anchored by Carl Azuz, specifically for use in classrooms. It’s available free every school day. 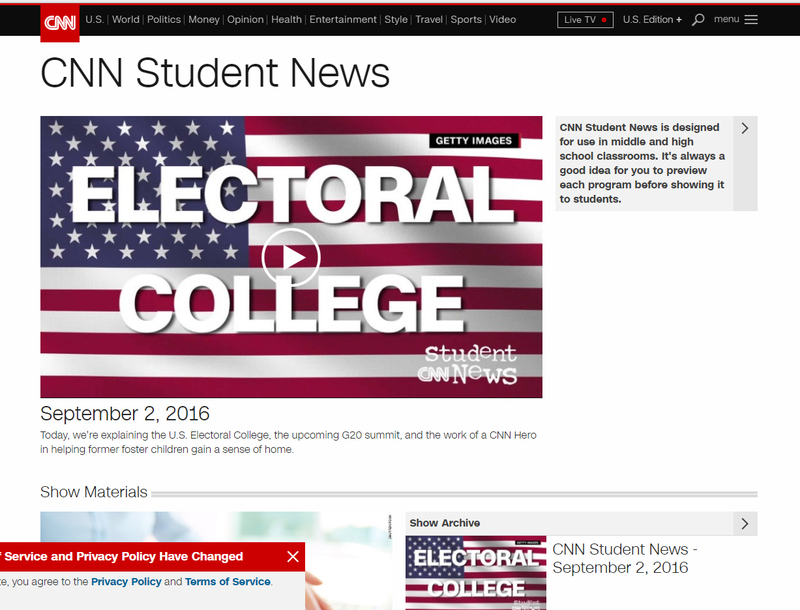 CNN Student News provides a combination of national and global news. An archive provides the opportunity to view recent shows if you miss one. Standout feature: The show is available to view online via the website, or you can also subscribe to it on iTunes and download it each morning so you don’t need to worry about the bandwidth in class. 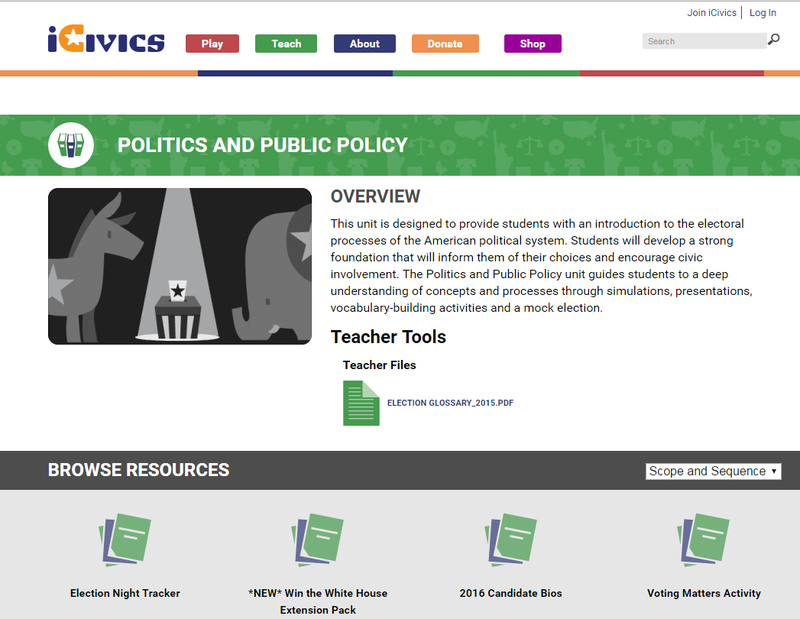 Students can jump into the election with the highly interactive resources available from iCivics. The online game Win the White House is a non-partisan experience simulating the process of running for president. Players must campaign, participate in debates, support a platform based on issues, and fund raise. The game has been updated significantly for the 2016 election season, with players being able to play on an elementary, middle, or high school levels. It can be played on a desktop computer, or iOS and Android mobile devices, by downloading the app. Standout feature: The handy Election Glossary and Election Night Tracker, both available in PDF format. 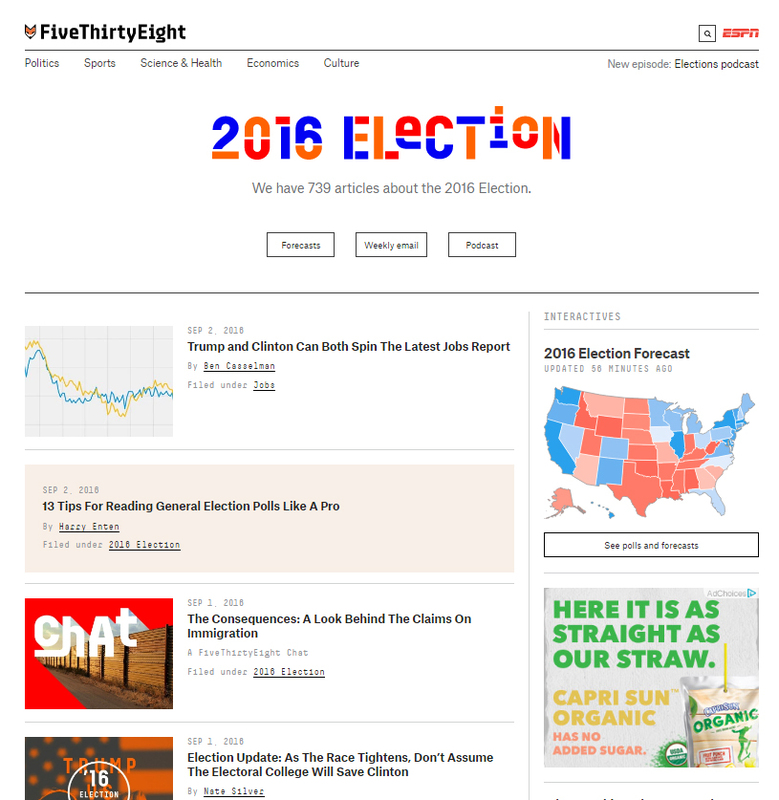 Visit this site for the latest in election news as November 8 nears. 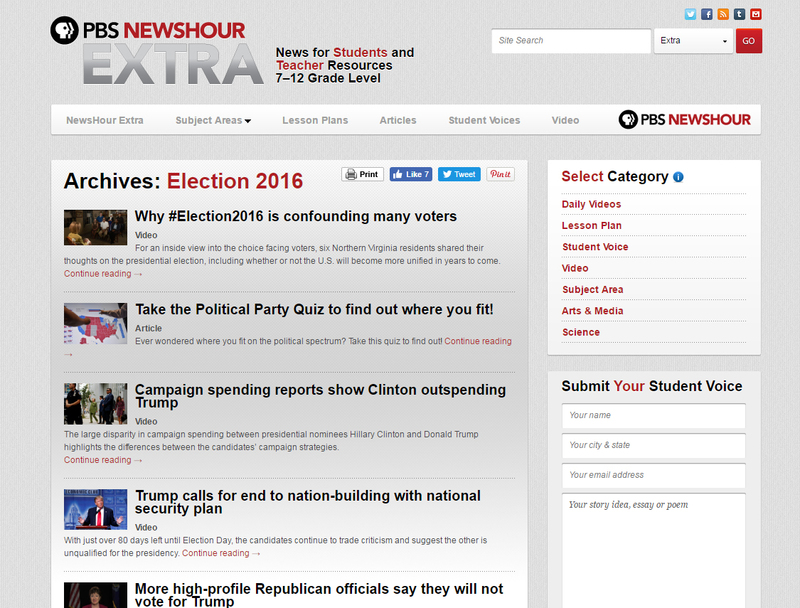 Current events content is updated continuously, so that lesson plans and videos are fresh and dynamic as the election season unfolds. A common question in my classroom is “What’s the difference between a Democrat and a Republican?” While this is, obviously, difficult to answer in short order, students might begin to think about where they fit in by taking the political party quiz, to see which side their beliefs most closely align with. Standout feature: The depth and variety of lessons. For example, a lesson on the issue of immigration in the election includes a classroom activity and several links to resources. Suggestions on how to differentiate the lesson for a 7–9 class versus a 10–12 class is included. There are also examples of extension activities. For the immigration lesson, it was a link to an article in which a teacher described how the musical Hamilton helps him teach xenophobia and immigration. Statistician Nate Silver burst upon the political scene in 2008 when he successfully predicted the presidential winner in 49 of the 50 states, as well as every Senate race. 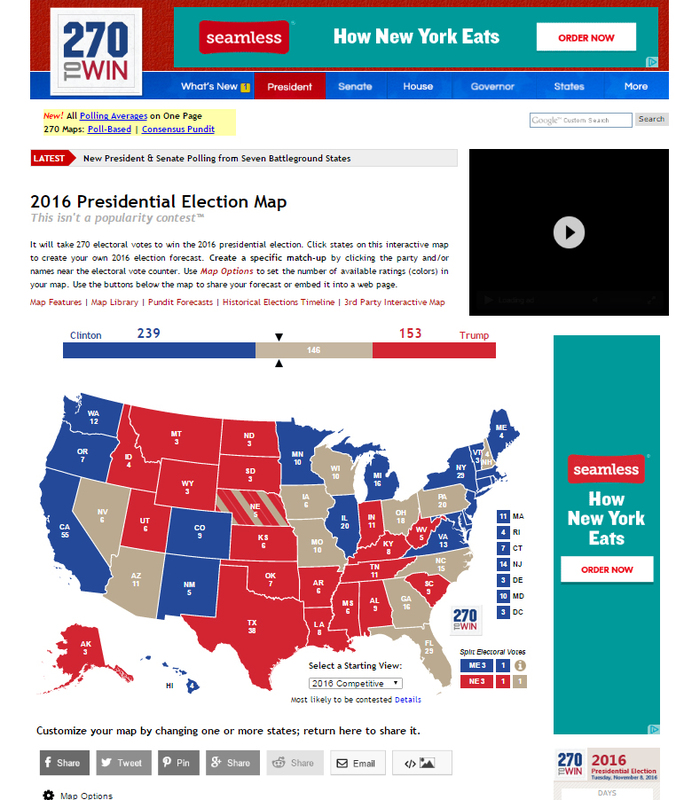 His website is a continually updated view of the presidential election through data analysis. Scroll down the page to explore a variety of interactive charts, timelines, and maps. The name? It’s the number of electors in the electoral college (See if your students can figure it out). Standout feature: A graph showing how close the race is in each state based upon 20,000election-day simulations. In addition to the traditional outstanding C-Span coverage of everything political, a portion of its content is specific to the 2016 election and tailored to classroom use. C-Span Campaign 2016 is a curated list of topics related to the election. Each section has links to videos, discussion questions, and activities. Sections include the presidential election process, campaign finance, and debates. Standout feature: Especially valuable are the specific video clips, one to five minutes long. The section on the impact of third-party candidates has a link to one such concise video covering the history of third-party candidates in presidential elections. C-SPAN Video Library A searchable library of over 223,000 hours of videos by C-SPAN, dating from nearly the beginning. They cover political topics from all over the world and from various historical context. 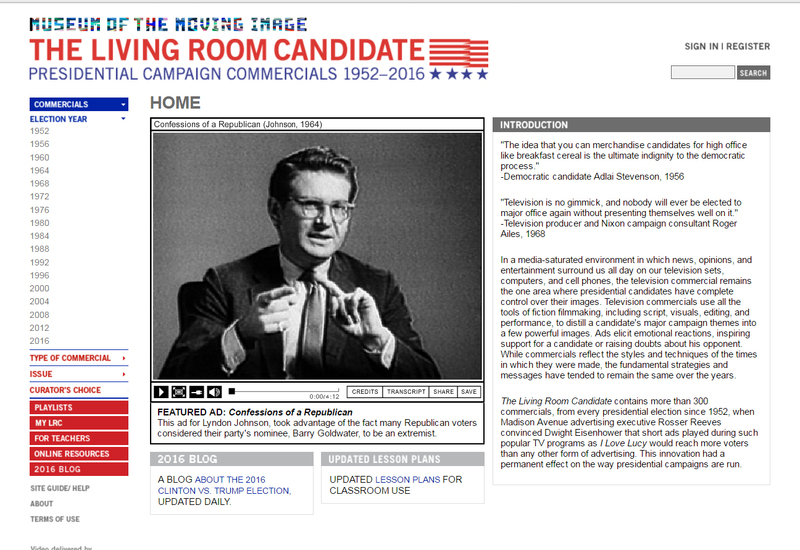 Here we can examine presidential elections since 1952 through the lens of political commercials. Explore via the election year, the type of commercial, or the issue being targeted. Educators can create playlists to accompany a lesson or set up an activity. 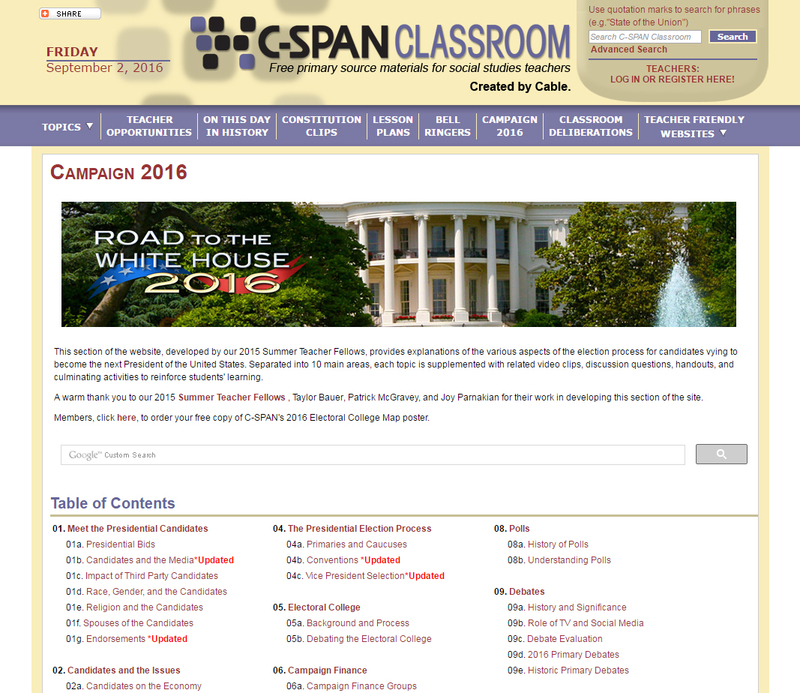 The site also includes a “For Teachers” PDF with detailed lesson plans on teaching with campaign commercials. 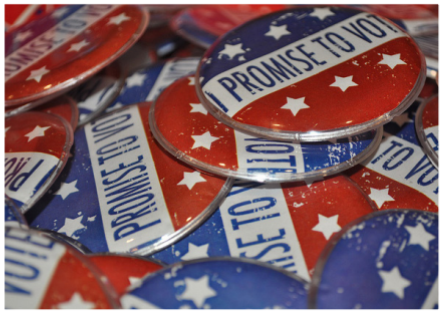 Standout feature: The ability for students to make connections among different elections throughout history through video, a format they find appealing. My students enjoyed seeing the comparison between the 1952 “I Like Ike” commercial, the 1964 classic “Daisy” ad, and today’s attack-based commercials. Helping students understand how the electoral college works, which can be confusing even for adults, is always a primary goal in my class. An appreciation of it helps students grasp why candidates spend more time and money campaigning in some states rather than others, and how population distribution impacts the presidential election. This is a great site to play with “what if” scenarios. My students always love discussing how third-party candidates with a relatively small following can turn out to be deciding factors. You can select a map to throw in some third-party wins and really dig into interesting possibilities. You can also view electoral college results from all the previous elections. Standout feature: The interactive map. You can reset the map to display current polling data, or start with a blank map. My students love to flip states from one candidate to another with a single click, and then see how one change impacts the total number of electoral college votes.